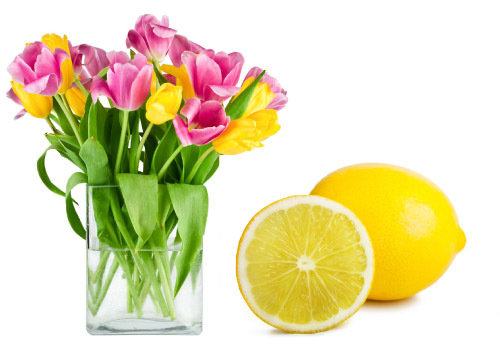 Use these simple cleaning hacks to get your whole house spring-clean fresh. To disinfect a sponge, simply place it in a microwave for two minutes. Be sure the sponge is metal free. Dryer sheets work just as well as electrostatic cloths at picking up and trapping dust. They smell nice and can easily get into hard-to-reach places. Water spots on the stainless steel tap and kitchen sink can be cleaned away with lemon juice. Cut a lemon in half and rub the cut edge over spots. This will also leave the sink smelling citrus fresh. Drains can run slow when backed up with an accumulation of soap scum, hair and shaving cream. The bubbly chemical reaction of baking soda and vinegar will push much of it loose while also deodorizing the drain. To unclog a slow drain, first pour a pot of boiling water down the drain, then drop in about a half cup of baking soda, follow that with a mixture of one cup vinegar and one cup of very hot water. Cover the drain to ensure the reaction stays inside the pipe for best results. Let it sit for about five to 10 minutes. Uncover the drain and flush it once more with a pot of boiling water. This method also works well to clean and deodorize a garbage disposal. Over time, a dishwasher can get a buildup of soap and food odors can get trapped inside. To clean and deodorize it, all you need is baking soda and vinegar. To deodorize, run the dishwasher on its hottest setting with only a dishwasher-safe cup filled with vinegar on the top shelf. For cleaning, sprinkle about a cup of baking soda on the bottom of the dishwasher and run it again on the hottest setting.